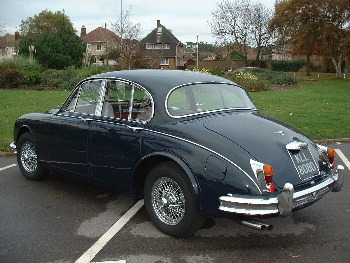 JAGUAR MK II 3.8 1966 FULLY RESTORED. 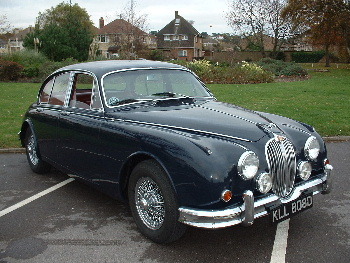 Finished in Indigo Blue with Red Leather Interior Trim,3.8 Litre With Unleaded E-Type Straight Port Cylinder Head,4-Speed Manual Gearbox with Overdrive,Power Steering,Chrome Wires With Knock offs,Tax Exempt. Less Than 100 miles Since Re-biuld by Ourselves,Absolute Fortunes Spent. Please Call Rick on 01202 746647 for in Depth Details.